“When the odds were against me, I was always at my best.” When she retired at age 19, Shannon Miller did so as one of the most recognizable gymnasts in the country. 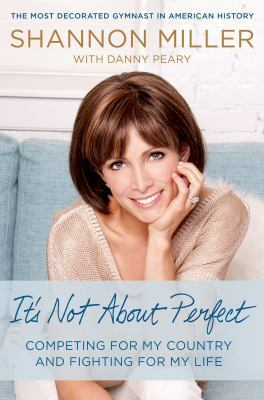 The winner of seven Olympic medals and the most decorated gymnast, male or female, in U.S. history, Shannon tells a story of surviving and thriving in It’s Not About Perfect. A shy, rambunctious girl raised in Oklahoma, Shannon fell in love with gymnastics at a young age and fought her way to the top. In 1992 she won five Olympic medals after breaking her elbow in a training accident just months prior to the Games. Then, in 1996, a doctor advised her to retire immediately or face dire consequences if she chose to compete on her injured wrist. Undeterred, Shannon endured the pain and led her team, the “Magnificent Seven,” to the first Olympic team gold medal for the United States in gymnastics. She followed up as the first American to win gold on the balance beam. Equally intense, heroic and gratifying is the story of her brutal but successful battle with ovarian cancer, a disease from which fewer than fifty percent survive. Relying on her faith and hard-learned perseverance, Shannon battled through surgery and major chemotherapy to emerge on the other side with a miracle baby girl. Her story of trial, triumph and life after cancer reminds us all that its life’s bumps and bruises that reveal our character. From early on in her career, Shannon knew that life wasn’t about perfection. 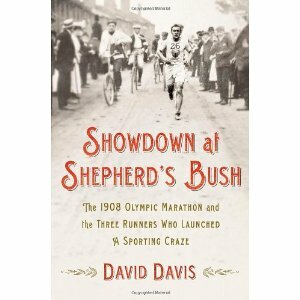 Showdown at Shepherd’s Bush by David Davis recounts the epic clash of an Irish-American, Italian, and Onondaga-Canadian that jump-started the first marathon mania and heralded the modern age in sports. The Olympics will showcase the best-of-the-best at the pinnacle of their athletic career. What we don’t usually see is how they got there – the struggle and heartbreak and private triumphs. Here are some new biographies that give us a glimpse of just how hard it can be. In the Water They Can’t See You Cry by Amanda Beard – A seven-time Olympic medalist describes her battles with depression, eating disorders, and substance abuse in spite of her successful career, recounting how she hid her struggles from her loved ones before seeking help and finding renewal in the birth of her son. Winning Balance : What I’ve Learned So Far by Shawn Johnson – Iowa native Johnson is a four-time Olympic gold and silver medalist; a national and world champion athlete and a winner on the popular “Dancing with the Stars.” This is the amazing true journey of how this young Olympian has found balance in her life. The Price of Gold : the Toll and Triumph of One Man’s Olympic Dream by Marty Nothstein – Traces the story of track cyclist Marty Nothstein from his upbringing in a blue-collar home to his gold-medal victory at the Olympic games, recounting how his dedication often forced him to explore his vulnerabilities as an athlete. 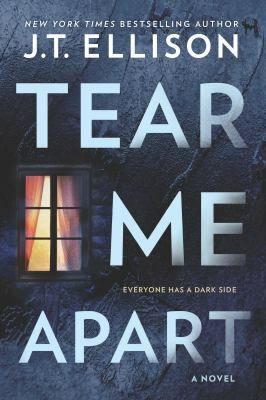 Off Balance by Dominique Moceanu – An unflinchingly honest memoir from Olympic gold medalist Moceanu that reveals the often dark underbelly of Olympic gymnastics as only an insider can–and the secrets she learned about the past that nearly tore apart her family. Headed to London for the Olympics? First of all : jealous! Second : I hope you have tickets/hotel/transportation already arranged – the grand old city is bound to be bursting at the seams. Still looking for some tips on how to occupy your time between watching the handball semi-finals and the whitewater rafting qualifying? Here are some books that will give you lots of ideas, whether you’re in town for the Games or just dreaming of visiting someday. 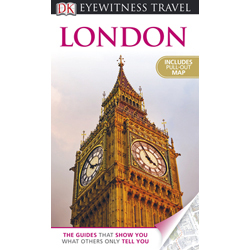 DK Eyewitness Travel London – Offers maps, history, and general features, detailed guides through the various areas of the city. and suggestions for specific walks. Also provides a street finder and hints on shops and markets, entertainment, children’s interests, transportation. Colorful photographs adorn every page. Britain and Ireland’s Best Wild Places by Christopher Somerville – Storm-battered headlands, hidden waterfalls, tumbledown cottages, the ruins of haunted chapels deep in forgotten woods, medieval Green Men, old mines and quarries being recaptured by nature, rusting sea-forts tottering on sandbanks. Britain and Ireland are full of wild places, some remote, many often astonishingly close to civilization. 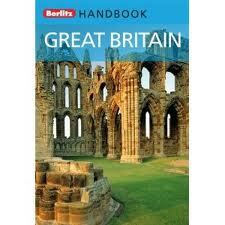 Berlitz Handbook of Great Britain – What sets this guide apart is the illuminating Unique Experiences section which are packed full of practical advice on how to make the most of all the opportunities unique to Britain – from visiting royal residences to watching a soccer match, or exploring Brontë country in Yorkshire. 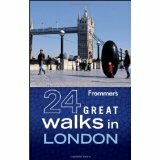 Frommer’s 24 Great Walks in London– Features walking tours of London including the Royal Parks, Jack the Ripper’s trail in the East End, a walk along the Thames, literary themed walks that feature the inspirational settings ranging from Charles Dickens A Christmas Carol to Harry Potter’s Diagon Alley. Inspired by the great performances of the Olympic athletes? 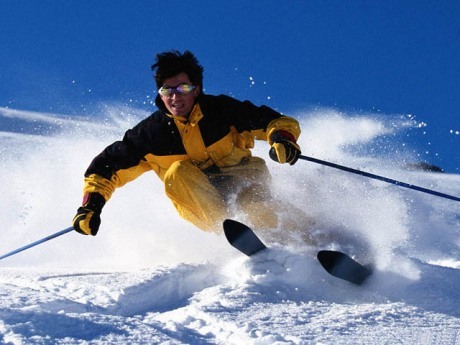 Interested in trying one of those winter sports? 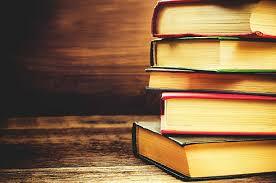 The library has lots of books to inspire and instruct! And don’t forget about the great local resources available in our area from the Quad Cities Sports Center to the pond at VanderVeer Park. You’re on your own for aerial ski jumping and luge! Who can forget the iconic slow-motion Vangelis theme music? Or the race around the courtyard of Trinity College? Or Eric Liddell’s race in which he is tripped and heroically rallies. 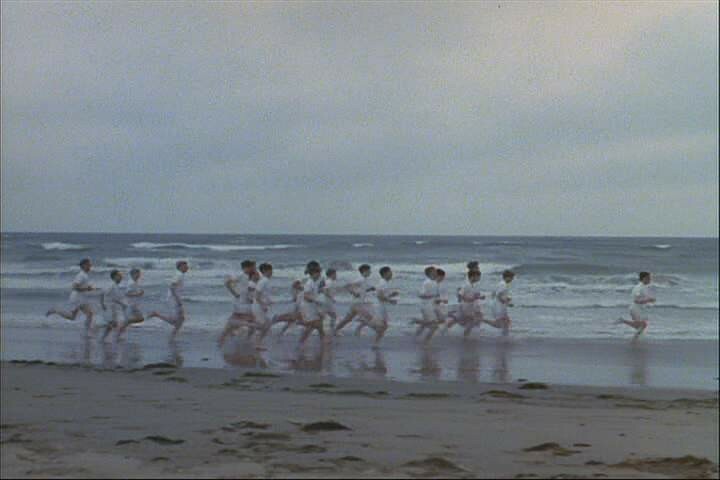 Winning the 1981 Oscar for Best Picture, Chariots of Fire had it all. Stylish 1920’s fashions, beautiful Cambridge buildings (actually Eton), lush British estates, and a glimpse into history. (The main characters do have some basis in fact). Bring me my Bow of burning gold: Bring me my Arrows of desire: Bring me my spear; O clouds unfold! Bring me my chariot of fire. The film embodies the Olympic spirit and is just what you need to get inspired for marathon Olympic viewing. What’s a modern-day Olympics without mascots? Sumi — (the mascot for the paralympic games) is an animal spirit with the hat of a whale, Thunderbird wings and the furry legs of a black bear. If you go to the official website you and your kids can play games with Quatchi and the other mascots. I don’t know about you, but it’s probably the closest I’ll ever get to competing in the Olympics! This movie was the best. In 1969 we were in love with Jean Claude Kiley. He was handsome and dashing french skier who won three medals in the 1968. We all fell in love with downhill skiing. This movie spirited our desire to be downhill skiers. This review by Roger Ebert in 1969 describes “Downhill Racer” the best. 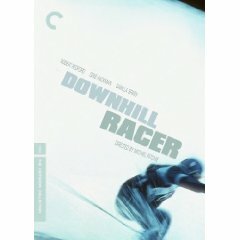 ‘Some of the best moments in “Downhill Racer” are moments during which nothing special seems to be happening. They’re moments devoted to capturing the angle of a glance, the curve of a smile, an embarrassed silence. Together they form a portrait of a man that is so complete, and so tragic, that “Downhill Racer” becomes the best movie ever made about sports — without really being about sports at all. The champions in any field have got to be, to some degree, fanatics. To be the world’s best skier, or swimmer, or chess player, you’ve got to overdevelop that area of your ability while ignoring almost everything else. This is the point we miss when we persist in describing champions as regular, all-round Joes. If they were, they wouldn’t be champions. This is the kind of man that “Downhill Racer” is about: David Chappellet, a member of the U.S. skiing team, who fully experiences his humanity only in the exhilaration of winning. The rest of the time, he’s a strangely cut-off person, incapable of feeling anything very deeply, incapable of communicating with anyone, incapable of love, incapable (even) of being very interesting. Robert Redford plays this person very well, even though it must have been difficult for Redford to contain his own personality within such a limited character. He plays a man who does nothing well except ski downhill — and does that better than anyone. The joy of these action sequences is counterpointed by the daily life of the ski amateur. There are the anonymous hotel rooms, one after another, and the deadening continual contact with the team members, and the efforts of the coach (Gene Hackman in a superb performance) to hold the team together and placate its financial backers in New York. They’re back! The Winter Olympics return with the Opening Ceremonies tonight. Taking place in Vancouver, British Columbia, they’ll serve as a showcase for obscure (to most Americans!) winter sports and the beautiful country of Canada. Join the blogging librarians over the next two weeks as we discuss all things Olympics, winter sports and Canadian! I’ll start things off with a look at one of the iconic moments in sports history – the defeat of the mighty Soviet hockey team by the little regarded United States team at the Lake Placid Olympics in 1980 – an event that can still send chills down your spine. The Cold War was still at its height and relations between the Soviet Union and the United States were tense at best. The Soviet team was stocked with seasoned professionals that had played together for years; the American team was made up entirely of college players, thrown together just a few months earlier. The US had never been considered a hockey powerhouse on the international stage, yet Coach Herb Brooks was able to mold this ragtag group of players into a team that challenged – and beat – the best in the world.